1. Take out the seeds from the dates and cut them in lengthwise. 2. Bring milk to boil and allow to simmer . 3. Add the dates and raisins . Cook until the milk thickened . Add the nuts of your choice . Sprinkle rose or keora water . 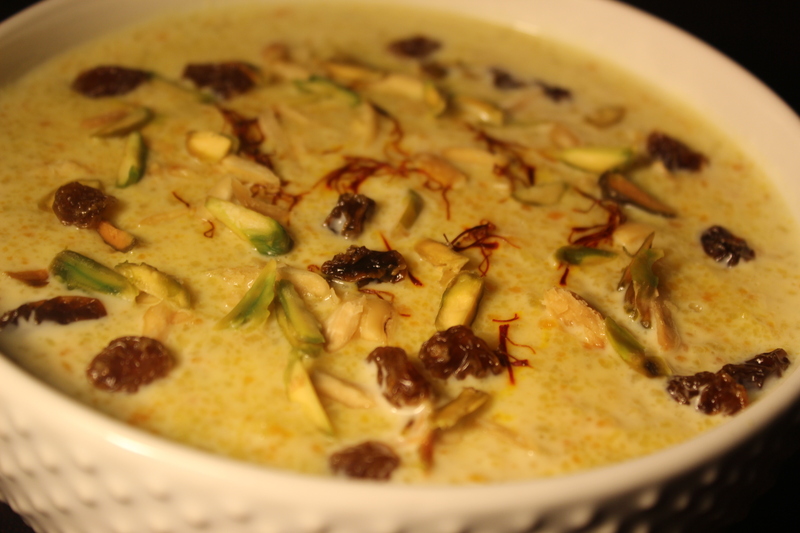 Dates and raisins add their own sweetness to the kheer so I didn't add any extra sugar . Depending on how sweet your dates are , you may add a little sugar at the end , if needed . But I believe you won't need any extra sugar to be added ..